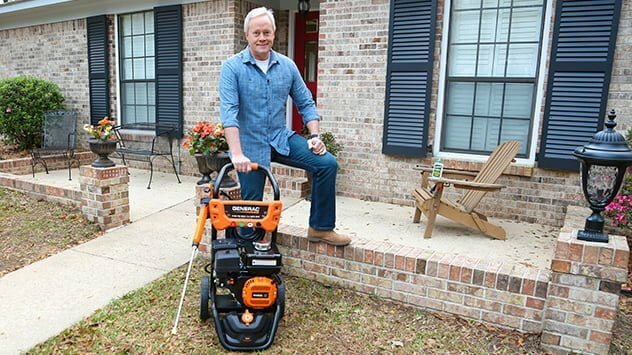 Danny Lipford with a Generac pressure washer. The “4 Seasons of Home Ownership” spring checklist covers basic home maintenance tasks, as well as items to accomplish as time and budget allow. The list includes pressure washing exterior areas of your home, repairing outdoor furniture, and adding curb appeal with new light fixtures. Read Sprucing Up Your Home’s Exterior for Spring for more info. How to repair exterior House cracks on stucco?